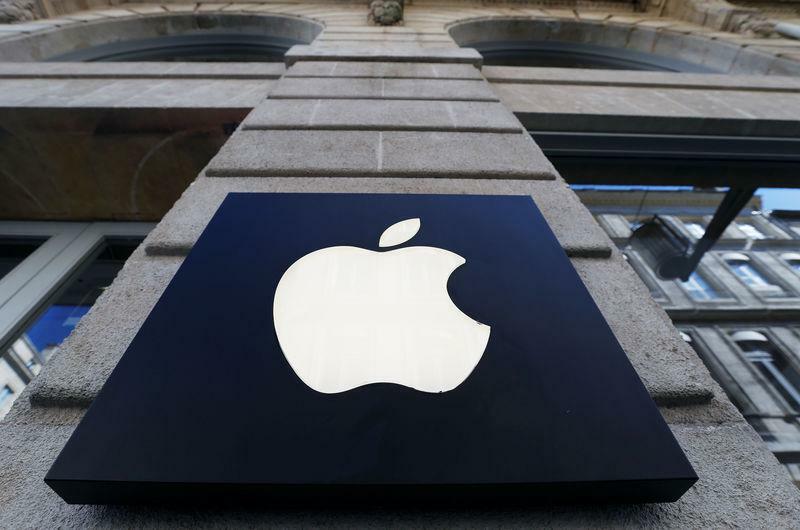 (Reuters) - Apple Inc is expected to unveil a new video streaming service and a news subscription platform at an event on Monday at its California headquarters. The iPhone maker is banking on growing its services business to offset a dip in smartphone sales. While the Wall Street Journal plans to join Apple's new subscription news service, other major publishers, including the New York Times and the Washington Post, have declined, according to a New York Times report. Apple has also partnered with Hollywood celebrities to make a streaming debut with a slate of original content, taking a page out of Netflix Inc's playbook. Below are some of the shows, curated from media reports and Apple's own announcements, which are part of the iPhone maker's content library. Two seasons of a drama series starring Reese Witherspoon and Jennifer Aniston that looks at the lives of people working on a morning television show. ** REVIVAL OF STEVEN SPIELBERG'S 1985 "AMAZING STORIES"
The tech giant has also struck a deal with director Steven Spielberg to make new episodes of "Amazing Stories," a science fiction and horror anthology series that ran on NBC in the 1980s. ** AN ANTHOLOGY SERIES CALLED "LITTLE AMERICA"
Focuses on stories of immigrants coming to the United States. ** AN ANIMATED CARTOON MUSICAL CALLED "CENTRAL PARK"
A half-hour comedy series that is set during American poet Emily Dickinson's era with a modern sensibility and tone. Apple in June last year announced a multi-year deal with Oprah Winfrey to create original programming. The potential series is an adaptation of Terry Gilliam's 1981 fantasy film of the same name, about a young boy who joins a group of renegade time-traveling dwarves, Deadline reported. The new series looks at a young woman's journey in the CIA, reported Variety. The show poses the question about the fate of humanity if everyone lost their sight, Variety reported. The series will offer viewers a never-before-seen look inside the world's most extraordinary homes and feature interviews with people who built them, according to Variety. Singer and actress Sara Bareilles is writing the music and could possibly star in the J.J. Abrams-produced half-hour show, which explores the journey of finding one's authentic voice in early 20s, according to Variety. Apple has acquired the rights to a TV series based on Nathaniel Rich's 70-page New York Times Magazine story "Losing Earth", New York Times reported. Apple has acquired the rights to Victoria Stone and Mark Deeble's documentary The Elephant Queen, Deadline reported. Apple has secured the rights to develop Min Jin Lee's best-selling novel, about four generations of a Korean immigrant family, into a series, reported Variety. Apple has ordered a 10-episode, half-hour run of the comedy show, which is an adaptation of Curtis Sittenfeld's short story collection by the same name, Variety reported. ** Apple may offer cut-priced bundles with video offering - The Information reported http://bit.ly/2HzcSLW on Thursday.